Macao, June 4, 2015 – Sands Retail, the leading operator of luxury retail properties around the world, has won the prestigious RLI Shopping Centre Renovation Award 2015 for its renovation programme at The Shoppes at Marina Bay Sands, Singapore’s iconic luxury shopping mall. The award forms part of the Global RLI Awards 2015, the retail industry’s premier Awards programme. This year’s award builds on Sands Retail’s achievement in the Global RLI Awards last year, when another Sands Retail property, Shoppes at Four Seasons in Macao, also took the RLI Shopping Centre Renovation Award. As well as properties in Singapore and Macao, Sands Retail’s shopping mall portfolio also spans retail property in the US. "It’s a real honour to accept this award on behalf of Sands Retail, which I believe underscores our hard work and commitment to ensuring that our malls offer the very best that luxury retail has to offer," said David Sylvester, Executive Vice President of Global Retail, Las Vegas Sands Corp. "It’s particularly pleasing to have won this award for the second year in a row. Despite the current challenging economic conditions, we have delivered an unequalled shopping experience by drawing on our extensive experience and success in the retail sector. RLI’s recognition of The Shoppes at Marina Bay Sands reinforces our position as one of the world’s leading operators of premium luxury shopping malls." Following its 12-month transformation, The Shoppes at Marina Bay Sands has redefined itself as one of the most compelling luxury shopping destinations in Asia. Already home to one of the largest and most spectacular collections of luxury labels in the region, the renovated 800,000 sq. ft. mall has transformed single units into stunning duplexes and even triplexes, driving several ‘first to market’ brands to open there. 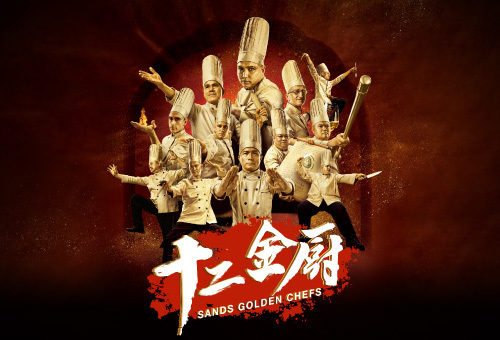 Sands Retail is the leasing and retail asset management platform of Sands China Ltd, a subsidiary of Las Vegas Sands Corp. Las Vegas Sands is a Fortune 500 company and the leading global developer of integrated resorts that combine premium accommodations, world-class gaming and entertainment and luxury shopping malls. The integrated resort model was established in Southern China with the development of Cotai Strip® in Macao, where Sands Retail's impressive portfolio of luxury retail properties includes the world’s highest-grossing luxury mall, Shoppes at Four Seasons, high street fashion hub Shoppes at Venetian and the family-friendly Shoppes at Cotai Central. Sands Retail’s Macao footprint will increase again in 2015 with the opening of Shoppes at Parisian, a centre for creative luxury.